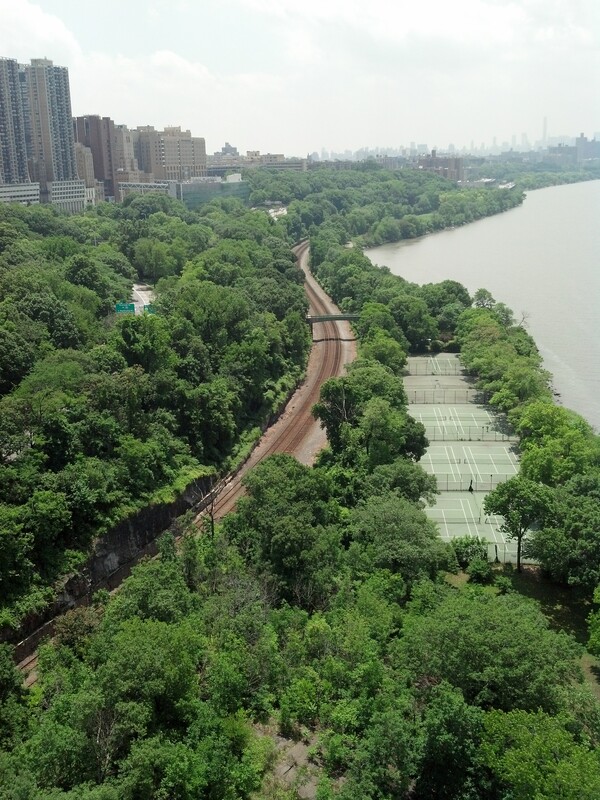 There is a lot more green space in Manhattan than I would have guessed. 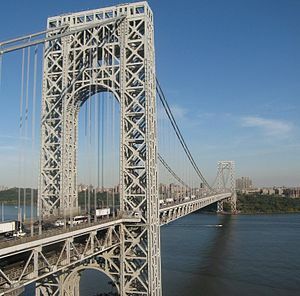 As I stood on the George Washington Bridge looking southwest, I realized that when I lived in Manhattan as a child, I was not really aware of its physical orientation on the East Coast. I didn’t really know, for example, that the island is skewed from the northeast to the southwest. I didn’t understand where Queens was, or Long Island itself for that matter. “Brooklyn” and “the Bronx” were just names. Those distinctions were completely irrelevant to me because my little Manhattan world was, from 1966 to 1968, so very small. What mattered was that Ninth Avenue was the spinal cord of Chelsea, our little section of town. 8th Avenue and 23rd Street was two short blocks’ walk away and held the 8th Avenue subway station, our pathway to the rest of Manhattan. My middle school, IS-70 (still there and still an intermediate school, in New York parlance), lay 5 blocks to the south. Lamston’s, a 5- and 10-cent store, was on the corner of 8th Avenue and 23rd. When I was headed somewhere on the subway, I would stop in and prowl around the fabric counter and thread racks (I was learning to sew my own clothes), and then I’d sit at the fountain counter and dig into a banana split, a passion I still enjoy every few years or so. No banana splits have ever been as good as the ones at Lamston’s, though. The 8th Avenue public library let me hold on to my childhood a little longer, because they had a big room with only children’s and teens’ books. I realized in that tall old wood-panelled room that, at 12, I didn’t want to start reading books without pictures yet. I wasn’t ready to grow up. So the GW Bridge was really very far out of my familiar territory. The first thing I noticed about the bridge itself is that it is enormous, so big that it carries eight lanes of traffic on the upper deck and six lanes on the lower deck. Off to the side of the upper deck is a narrow strip dedicated to bicyclists like myself, and walkers. When I heard about the Fort Lee lane closure scandal in 2013, of course like everyone else I was disgusted that somebody in New Jersey Governor Chris Christie’s administration had thought it was a fine joke to close the toll booths and thus choke the traffic to punish Fort Lee’s mayor for not supporting Chris Christie politically. The joke went on for four endless days, though, and one woman died as a result of being stuck in the resulting traffic. Just being on that huge bridge as a cyclist, so close to thousands of passing cars, is a bit stressful. Understanding the size of the bridge made me realize how malicious and childish was the joke. Nice! The toxic politics around infrastructure make New York and New Jersey even more vulnerable to the once sporadic, now occasional, soon to be regular, catastrophic consequences of anthropocene climate change. Christie is a buffoon, not so very different from his co-conspirators in the current crop of GOP presidential candidates. Dangerous too, of course, witness the late Florence Genova.